Vote For Your Favorite Pumpkin Design! Who Will Take The Crown This Year? The participants, from L to R: Erin, manufacturing coordinator; Jen, head honcho; Jill, marketing assistant; Yamil, customer service specialist; Sara, e-commerce manager; Melanie, marketing and digital coordinator; Chris, publisher’s assistant; and Janet, marketing designer. 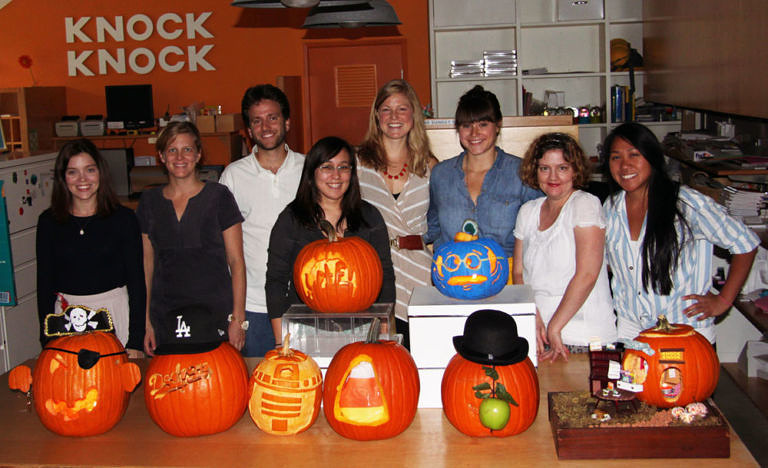 You know what they say—another year, another Knock Knock Pumpkin Carving Contest! For the third year in a row, we’ve unleashed our creative cutlery to carve up these jack-'o-lanterns to epic proportions. Vote now for what you think is the best pumpkin creation! 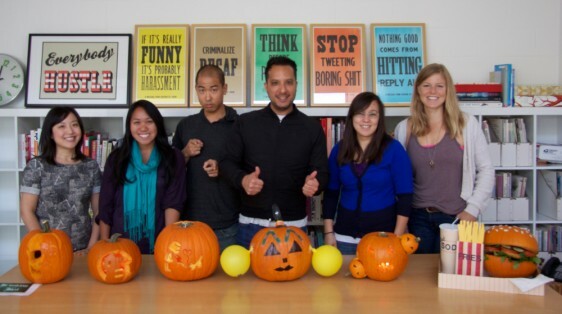 The Winner of Our Pumpkin Design Contest And Office Bragging Rights Go to . . . 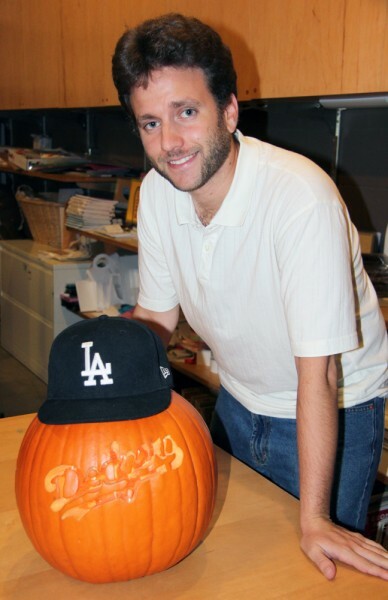 Number four, Los Angeles Dodgers pumpkin by Paul, our assistant manager of customer service and operations. Paul, the $50 Trader Joe’s gift card is yours! Congratulations. 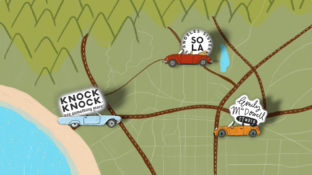 You can now totally rub your win in our faces. 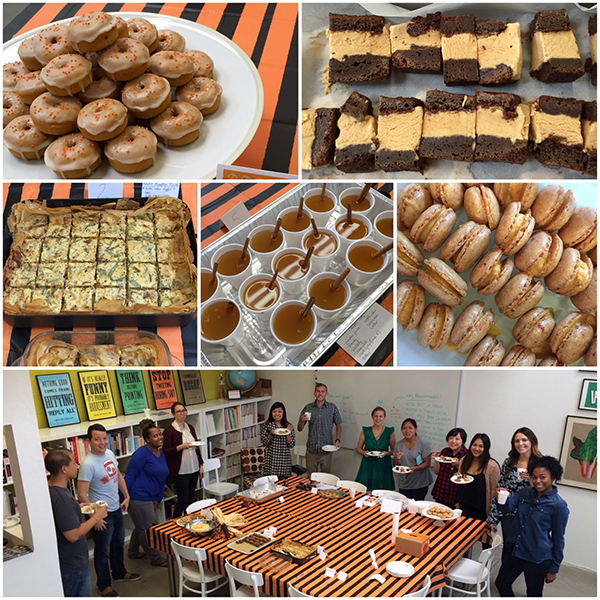 To all our friends: We hope you have a safe and (literally) sweet Halloween! Share some candy with us—thanks.